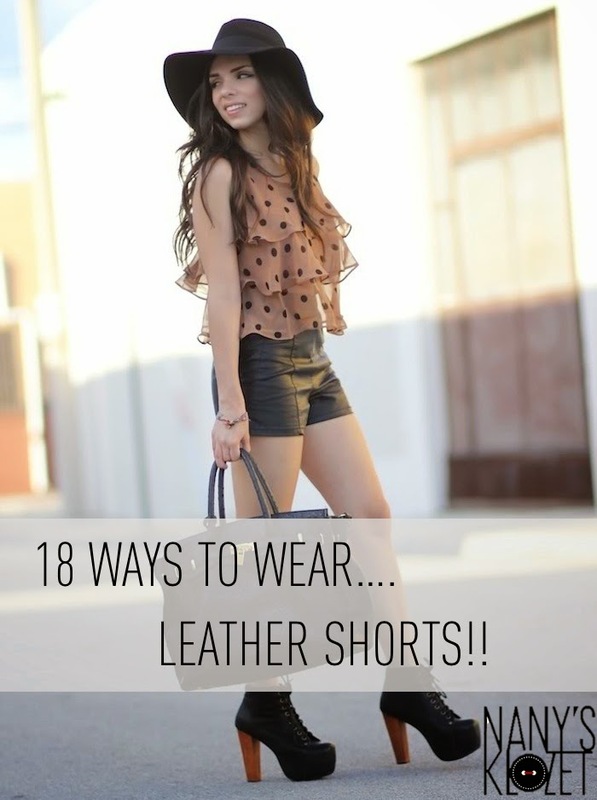 REMIX: 18 ways to wear LEATHER SHORTS!! Yes, those are the same pair of shorts... I can't believe I have worn them so much. Which look is your favorite? Todavía no puedo creer lo mucho que he utilizado estos shorts. Cuéntame que look fue tu favorito. Aah love the way you style these shorts! So many looks, I really don't know which is my fave! Love the floral blazer and the cozy chuncky sweater. Good job!! You know how amazing this post is?! Showing 18 different ways to wear the same pair of shorts, from sporty to chic, is necessary for girls who shop on a budget. And it's difficult to pick just one, I really liked 7 and 8, and also 11, 12 and 14! Me ha venido muy bien este post! Tengo una faldita de cuero en desuso por falta de inspiración. Gracias! Love them all - the throwbacks are too cute! I simply love every single one of your outfits because they are stylish but yet down to earth. I love these shorts...so versatile!! All 18 look very nice on you, great style !! Check out Our Leather shorts custom made to order using your choice of design, size, and materials. We have Differen types of leather shorts like Women Leather Shorts With Button Fly, Football Style Women Denim, leather shorts with two pockets and six pockets for men etc. We are happy to make modification to our designs that include: selecting the colour of the buttons and the inclusion of lining and pockets. All of our Leather Vests deliver a unique look for your next leather event.